If you’re tired of holding things together with glue, duct tape, and hope, it’s time to start thinking about a better way to handle preventive maintenance. By following these 5 tips, you’ll be well on your way to generating more Trip Advisor bubbles, upping your RevPAR, and looking like a management superstar to your facility’s owners. While FCAs do carry a price tag, the short-term investment will more than pay off in the long run. Grounded in comprehensive and objective data, your preventive maintenance efforts can become proactive rather than reactive. Minor issues can be addressed before they turn into budget-crushing repair or replace fiascos, and new ways to preserve assets can be identified and employed. Before long, you’ll start seeing stabilized or even lowered operating costs. 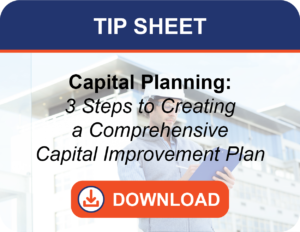 If you already have a capital plan in place, your preventive maintenance plan will flow naturally from the FCA done in conjunction with that process. 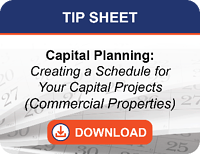 If you have never undertaken capital planning, we strongly encourage it. Either way, once your FCA is done, it’s time to analyze data and determine your preventive maintenance next steps. Ultimately, you want everyone involved consistently operating from agreed upon implementation protocol. It’s rare to find a building engineer who has the human and financial resources to undertake all preventive maintenance projects at once. Therefore, a feasible and effective project execution order is one of the most critical elements of any preventive maintenance plan. Projects should be ranked consistently across the organization, with each operating unit employing the same set of rules to identify priorities and funding requests. You’ll be more likely to hear “approved!” when you can point to sound methodology rather than arbitrary priority assignments. As you prioritize, you will also want to differentiate between short-term and long-term projects. 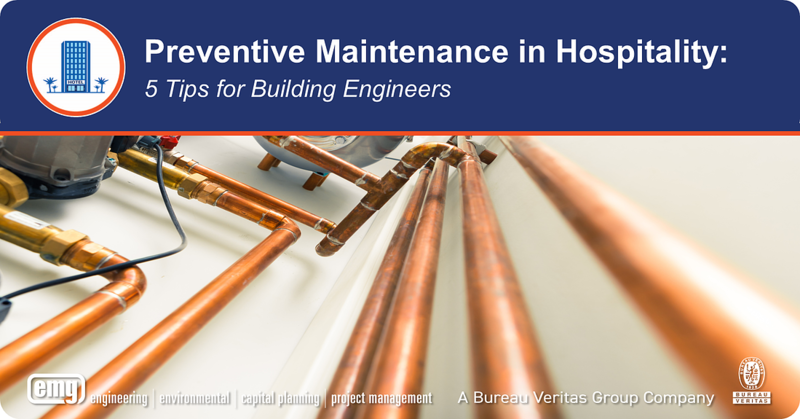 Successful building engineers typically map out a multi-year preventive maintenance plan that addresses current needs and anticipates future ones. Unexpected developments are inevitable, but a solid long-term plan will help you avoid most surprises. Your FCA will identify life safety and ADA/code compliance projects that should jump to the top of your preventive maintenance priority list. These are “must do” projects, with severe (and potentially catastrophic) repercussions for non-compliance. No cost savings is worth the risk and liability of putting these projects on a back burner. The government has its own set of rules and regulations, as does your brand. When the time comes for owner inspection, be ready to shine. No building engineer wants a flag pulled because of hotel disrepair that has snowballed into failing brand grades. Periodically review your property improvement plan (PIP), and make sure your facility meets or surpasses brand standards. Guests will take notice, and owners will, too. Your job will be a lot easier if you’re working in sync with your operations team. Keep lines of communication open, and make preventive maintenance plans, priorities, and goals clear. With a little careful planning, you can be the kind of building engineer who drives profitability and makes owners take notice. We can’t guarantee that planning will always make your work stress free, but it can definitely take you out of daily crisis mode and set you well ahead of the preventive maintenance curve. 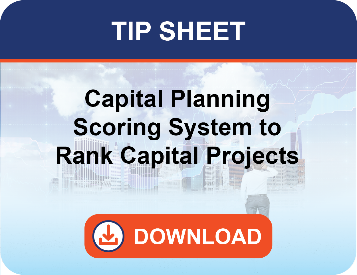 For help with capital planning or project prioritization, check out these EMG tip sheets!